Preheat oven to 350°F. Grease a 10-inch oven-safe non-stick skillet (or cast iron skillet) with 1 teaspoon butter. Squeeze excess water out of spinach and stir spinach into the Alfredo sauce. Add half of the shredded mozzarella cheese along with 2/3 of the diced chicken and 2/3 of the sun-dried tomatoes. Stir just until combined. Cut each string cheese into 4 pieces. 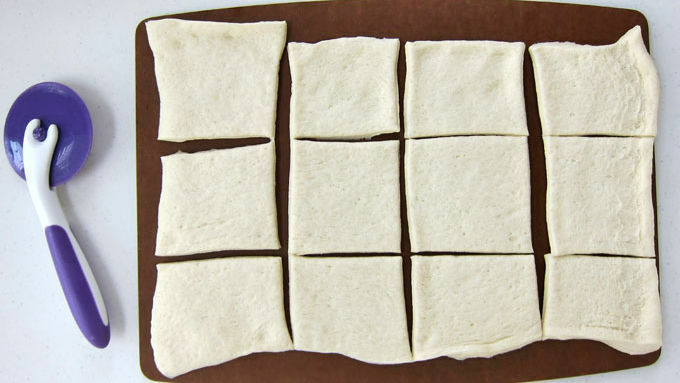 Unroll pizza dough and cut it into 12 squares. Brush egg white over pieces of pizza dough. Set one piece of the string cheese on a square of dough. 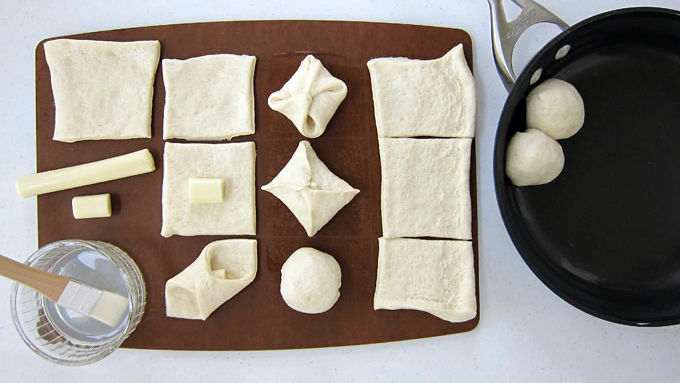 Attach opposing corners of the dough, then pinch around the edges to seal the dough. Pinch and roll into a ball. 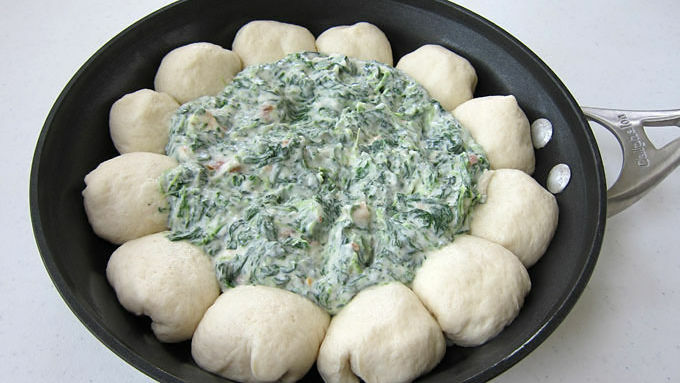 Arrange the balls of dough in a single ring around the edge of the buttered skillet. Spoon spinach mixture into the center of the skillet. 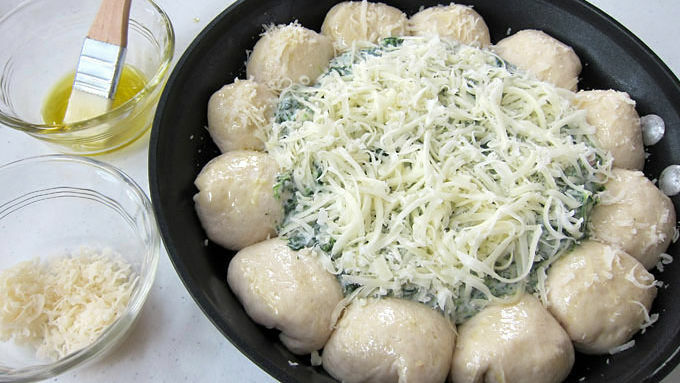 Brush the tops of the dough balls with olive oil and sprinkle the shredded Parmesan cheese over top. 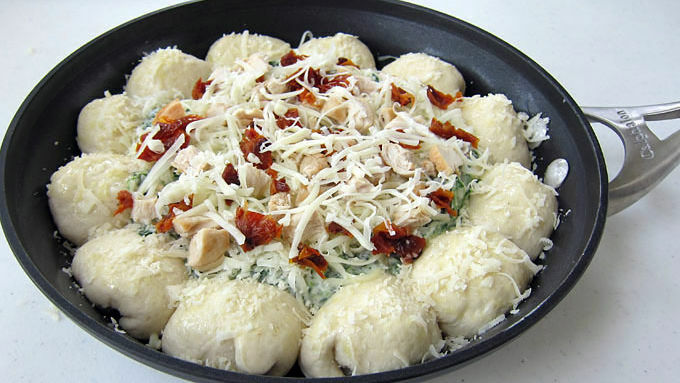 Sprinkle some of the remaining mozzarella cheese and all the remaining chicken and sun-dried tomatoes over the spinach dip, then top with the remaining mozzarella cheese. Bake for 32-35 minutes, until the pizza crust turns deep golden brown and the cheese is melted and bubbly. Remove from oven and allow to cool for 5 minutes before serving. 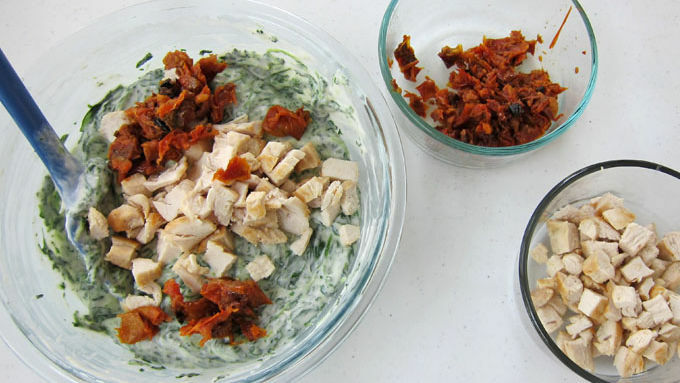 Break off a piece of cheese-filled pizza crust and scoop up some hot spinach, chicken and sun-dried tomato dip. This is perfect for your next party. 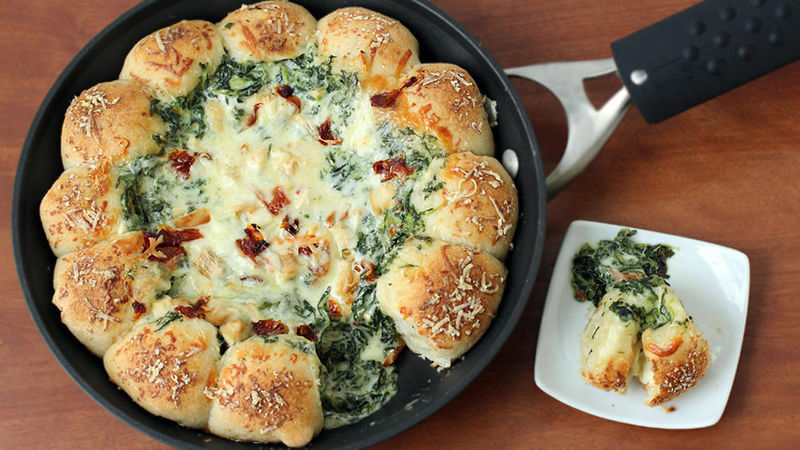 Guests will enjoy pulling apart the freshly baked, cheese-stuffed pizza crust from the edge of the skillet and scooping up the hot bubbly dip that’s loaded with spinach, chicken and sun-dried tomatoes. They’ll be scraping every last bit of cheesy goodness out of the pan!